Barchester Healthcare has marked National Carers Week by thanking its carers for their dedication to their residents and patients they care for. 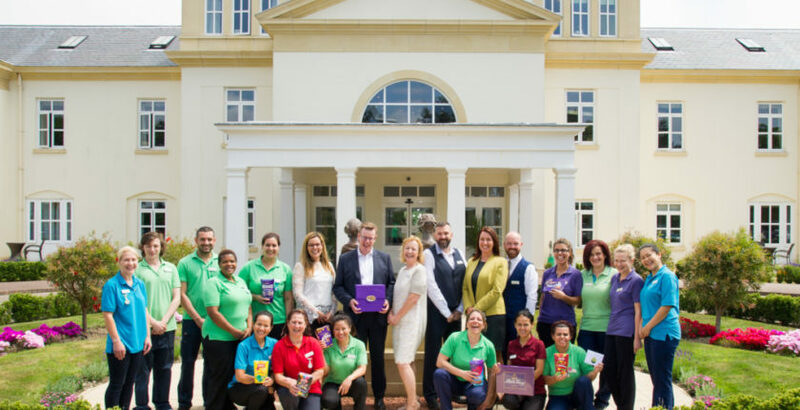 Chief operations officer Adrian Pancott made a special visit to Lakeside care home in Jersey yesterday to personally award its carers team with a Cadbury’s gift hamper. All of Barchester Healthcare’s workforce at its 200 care homes were presented with a chocolate hamper as a token of thanks for the contribution they make to the lives of those in their care. National Carers Week, which runs from June 11 to June 17, is an annual campaign to raise awareness of caring, highlighting the challenges carers face and recognising the contribution they make to families and communities throughout the UK.